Loudcooking | Recipes, News, Paulchen, quotes and thoughts. 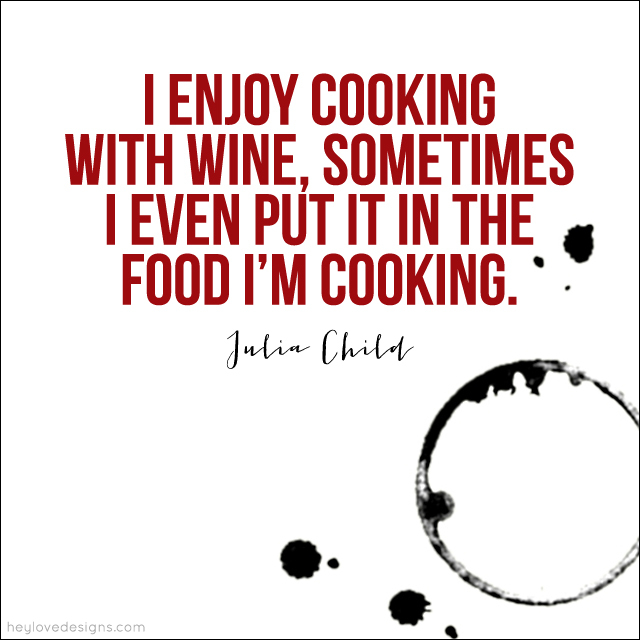 Recipes, News, Paulchen, quotes and thoughts. Hello again, it has been a while since our last trip. But it was too hot both outside and inside to think and write. You might think hot climate would be perfect for a cat but with Paulchen things are different. Since we moved to Bergamo he got lazy and even more diva-like. Quite impossible since he is already acting like one. Anyway. 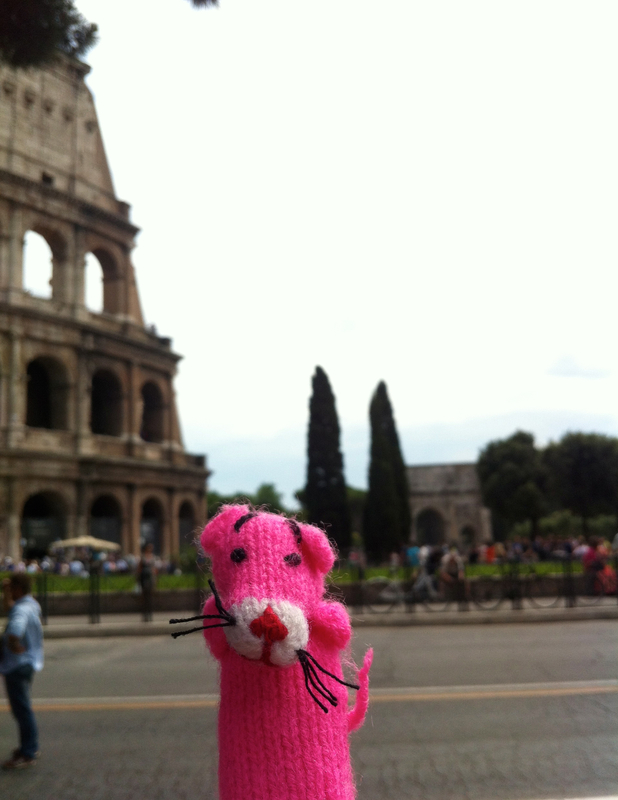 A few weeks ago I was able to convince him for a trip to Rome. We took the early morning train to Milano and the Frecciarossa to Termini. First destination: The Colloseum. Paulchen was not really impressed but he took a selfie. He begged to buy one of these sticks but you cannot have it all, not even if you are cute, little and pink! 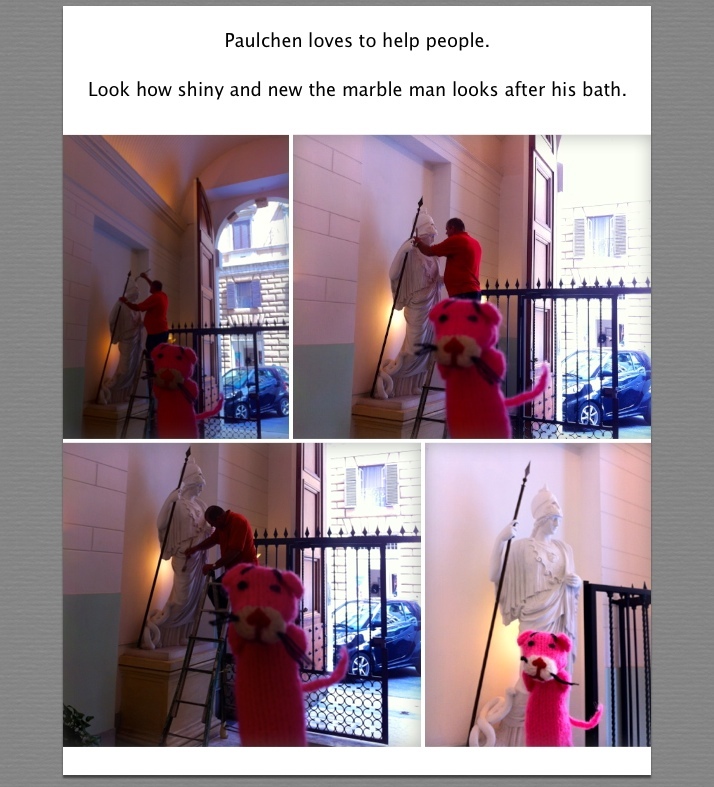 Paulchen in the Vatican city. 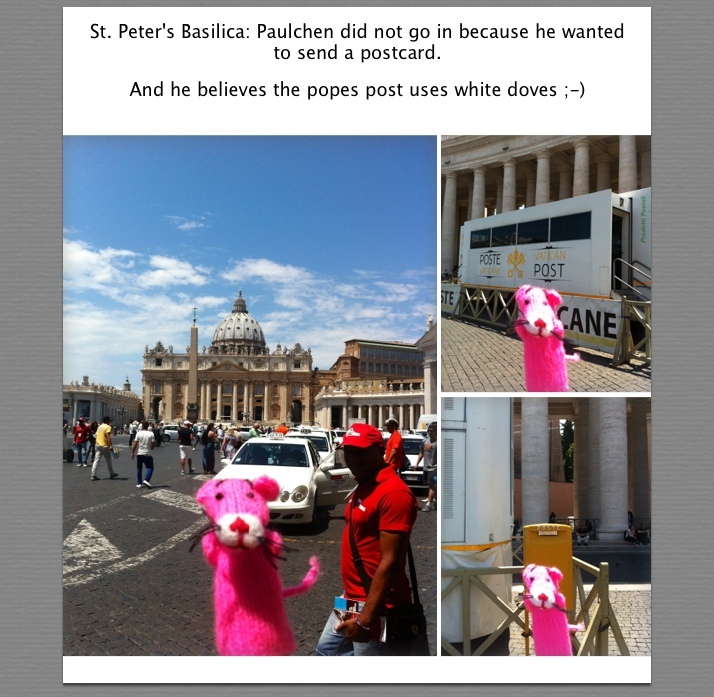 Paulchen insisted to send a cat-postcard from the popes post-office. It arrived within one week. This would not persuade him though, that even the pope uses the Italian post system and not white carrier pigeons. Really I have no clue where he gets these ideas. He even tried to climb into the yellow post boxes to find the pigeons. He only stopped after I promised him some gelato. So off we where to Via dei Chiavari, 37. 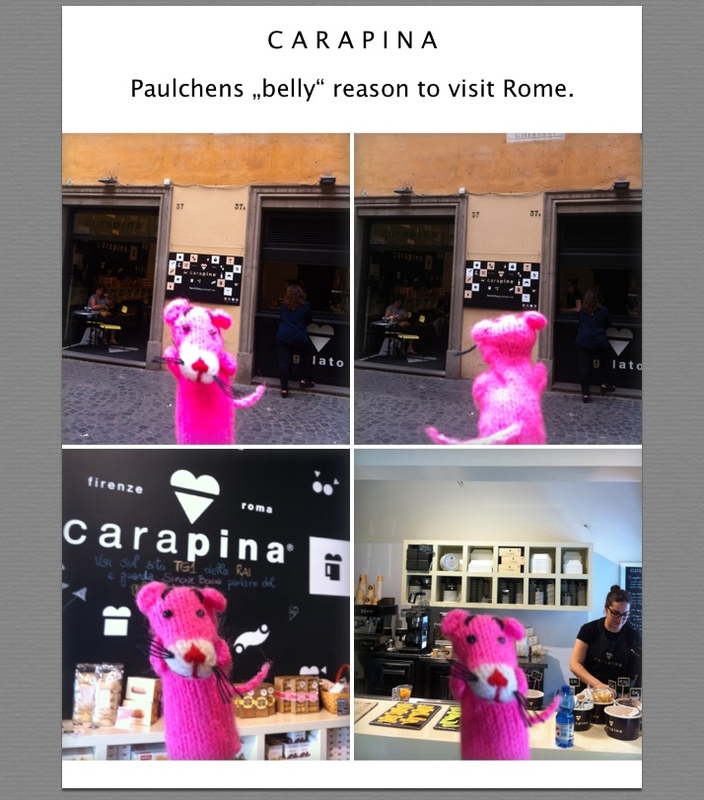 Paulchen and gelato at Carapina. Carapina is one oft he best Gelaterie in Florence. Mr. Simone Bonini opened the shop in Rome in April 2014. Paulchen tried pistachio and pine nut, both a real explosion of flavor. The next morning we decided to walk a little and explore these fantastic huge entrance halls in the old buildings. Usually the huge doors and gates are open until lunchtime or late afternoon and since my panther does not care about privacy, he took the opportunity to take a few snapshots. Paulchen really enjoyed this trip. Specially since Rome is the Eternal City, the place for him to be. He´s begging to go there again. Obviously in spring, middle of June was to hot for the pink diva. And he is right. Late autumn or spring are the best periods for Rome. This city is crowded with tourists any time durning the year but at least the temperatures are enjoyable and nice. In case you end up during the hot season remember: in Rome do as the Romans do or in my case: do as the japanese do and wear a hat and long trousers. Travel tips from “The Swide” to survive a decent holiday in Italy. Don’t we know them all? The tourists? Those who do behave like being in their home country? Without adapting to the travel destinations culture? When it comes to Italy it gets a little more special due to the fact: Italy is full with Italians. And they stick to their culture. Wether it is the language, though in the big tourist cities people DO speak english, or the food. Number one: yes! Happened during a visit in Assisi. I completely forgot about and had to “enjoy” the Cathedral wearing a super gross BLACK piece of what-so-ever-plastic scarf. Note to myself: when visiting a church cover your shoulders. No matter how hot it is out- and inside. Number two: This may be true to some destinations but if you visit e.g. Napoli, Rome and for sure Tuscany you´ll find a lot of people fluent in english. Though a little italian here and there helps. Number three: true true true. But Supermarkets are opened nearly 24/7. Even on Sundays you can do your shopping till 8pm. Number four: HaH! I would love to find cabs here in Bergamo. Another point is (sorry to mention this but it happens): please inform before about the prices from destination A to B. Some cab drivers are still trying to charge more to tourists. But this happened to me also in Vienna and Munich (and even in Salzburg speaking italian while driving into the city). Number five: Due to the latest news after a football match the lists needs to be completed with: *don’t through beer bottles into fountains and *don’t spray graffiti. Number six: Or let´s call it: how to survive until the restaurant opens again? Search a proper Aperitivo Bar! Apo-Time is from 6pm onwards and the bars serve some nibbles and bits with your drink. This is one of the best inventions ever! In my personal point of view. 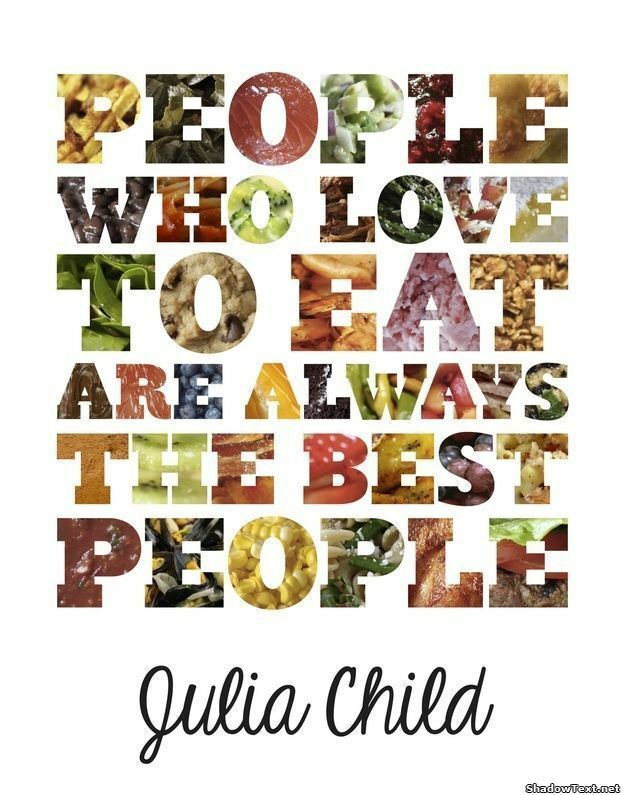 But please don’t behave like a tourist and shovel tons of food onto your plate. Simply enjoy some little treats with your aperetivo. Always fun when we have people visiting and they go like: wow! The whole buffet is for free? Number seven, eight and nine: Italian table manners are a story of their own but the most important thing is: sometimes the spaghetti wants to be alone. Number ten: Get into the flow and all runs smooth. 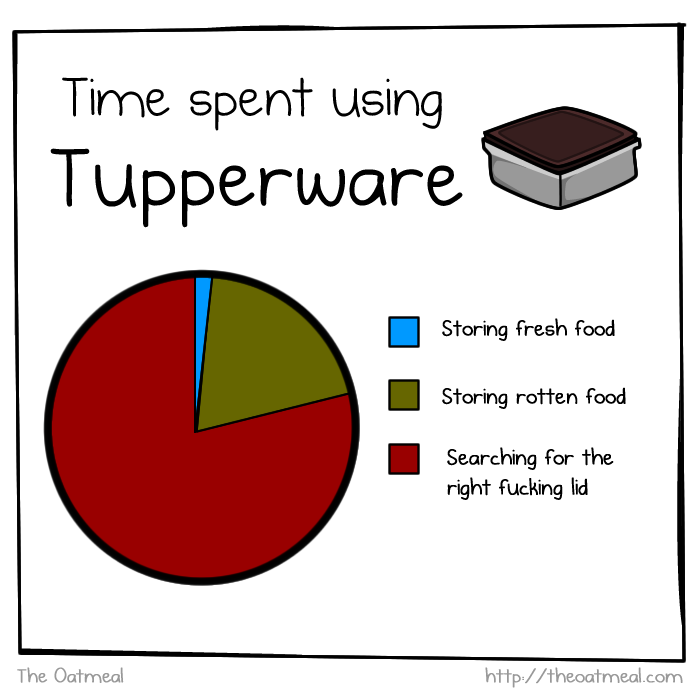 All said…nop wait: Funny enough I am missing lids. I have all organized (of course) but some lids are missing. Don’t forget! Cooking is fun. I love love love her. Take a look at 10 amazing photos of Julia Child having a really good time in her kitchen.